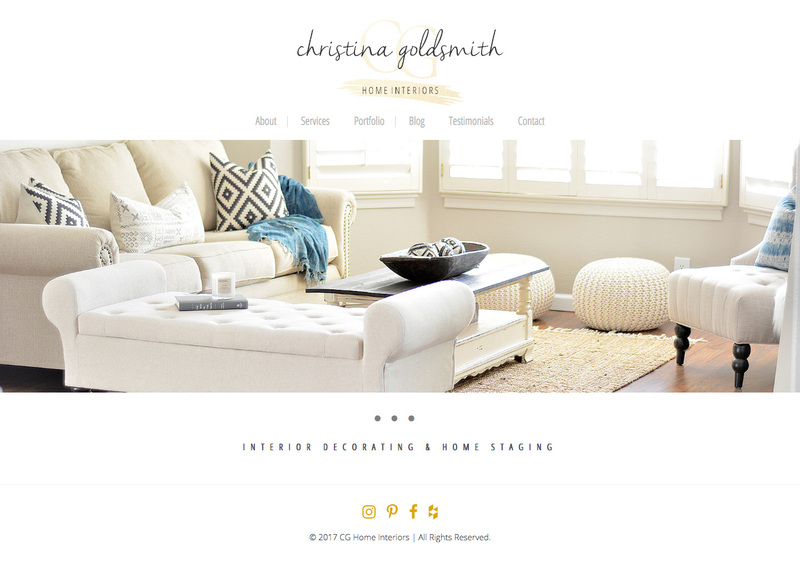 CG Home Interiors is an Interior Decorating and Home Staging firm based in sunny Arizona. Founder, Christina Goldsmith, was raised in the Valley of the Sun and began her career in the Mortgage and Real Estate industry in 2003. Christina's most recent roll in mortgage marketing combined with her unwavering desire to create beautiful things helped her realize the passion she had for all things real estate and design. She left her marketing role to pursue her dreams of helping others create their own stylish, welcoming spaces and the rest is history! CG Home Interiors needed assistance in developing a new fully responsive website utilizing a Drupal CMS to showcase their professionalism and level of expertise.